The pervasive development culture, requiring land assembly, underground parking, presentation center marketing and tendency towards large scale developments begs big questions for this missing housing type. It promises to be a fascinating debate between two acknowledged experts from UBC, Patrick Conden and Scott Hein who have made substantial careers advocating for sustainable neighbourhood development, and Chuck Brook and Anne McMullin. Ms McMullin is the President and CEO of the Urban Development Institute (UDI), the home club for the development industry, close buddies with Vision Vancouver, and which many of us consider to be the generator of much of the disaster that is housing in Vancouver today. I’m looking forward to it. Hope to see some of you there. It is clear from Stats Can’s numbers and all the analysis people like Andy Yan have conducted that supply is not the issue here. Even Gregor Robertson in a deathbed conversion has agreed that supply is not the primary problem and our General Manager of Planning says we have spent a decade building the wrong things. With 25,000+ empty housing units in the City, and tens of thousands of more units in the pipeline, any attempt to blame lack of supply is simply ludicrous. I will make one exception to that statement: housing for very low- or no-income people has been sorely lacking for a decade, probably because it makes so little profit for the developers. The City and Province are slowly beginning, albeit with some problems, to deal with that with their modular housing schemes. We need to do a lot more, but at least a start has been made. The crisis is primarily for the regular working Janes and Joes of Vancouver; the folks who are hard-working productive employees but only make at or below the median wage in Vancouver (which is a notoriously low paid City). These build-build-build types don’t seem to give a damn about these people. They are quite happy to build condos and townhouses and even apartment blocks that the majority of people cannot afford. The only people who benefit from such buildings are the developers themselves, speculators, and those who already have houses to sell to finance the purchase. We need to look at ways that can provide decent housing for the median folks, and we need to do it fast or they will simply move out of the city and take their vitality and talents with them. We can do this by encouraging owners of single detached houses to provide at least two and hopefully three households on each lot. This encouragement could come by relaxing the extraordinarily onerous, expensive, and time-consuming regulations the City imposes today on both in-house suites and laneway houses. We need to legalize all the “illegal” suites and encourage their refurbishment and expansion. Such increases could easily double the density in Grandview, for example (as opposed to the 30% increase envisioned in the Community Plan). And this will be many times less expensive than new building as land costs will be irrelevant. Finally, while this crisis lasts, it is incumbent on the City to ensure that City-owned land is sold/used only for genuinely affordable housing and not sold or handed over to developers for unaffordable condo towers and the like. Density is a good thing, but only if regular local people can afford to buy what is built. In the ongoing discussions regarding the possibility of putting residential housing on the redeveloped Britannia site, there has been much talk about the use of “air parcels” or “air spaces.” Although Planner Andrew Pask admitted at the last GWAC meeting that Council has not formally defined what these terms mean, a general definition might be the erection of usable space above buildings that are specifically designed for a different purpose. In the case of Britannia, this could be housing built above the library or other community facility. 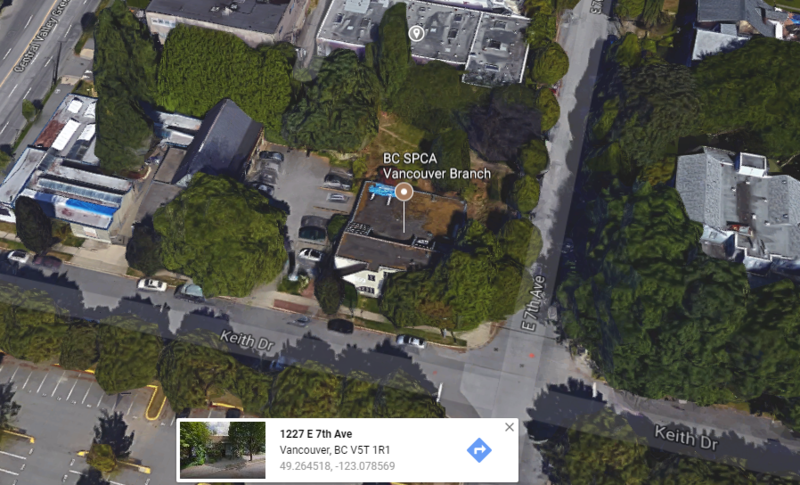 The SPCA office just east of Clark at 7th has similar ideas, as reported in the Vancouver Sun. “With the land being in “what has become a very sought-after location, there is lots of interest” in seeing how the SPCA can maximize the property, “how we can build what we need and also add a student housing dimension” on the property. We would look to be getting value in those air rights (so that we can build student housing towers) and putting (revenue gained from that) toward our new facility. It’ll go a long way…” Constructing rental units at a deeper discount, as opposed to luxury properties, would return less profit, but help more people struggling with housing affordability. I am not keen on them using the term “towers” but it is outside my neighbourhood (just) and it would be up to the local community to decide on whether that would be acceptable. But the general idea is, I believe, to be welcomed. My own preference would be for these laneway houses to remain as rentals rather than sold as strata. This would boost that kind of vitally needed stock and provide a steady income to the lot owner rather than a one-time windfall with a house that few could afford to buy. Apart from the zoning changes proposed, we would see a great deal more movement in this area if the cost of building a laneway house could be made more reasonable. My understanding is that city permits and certain city regulations add many tens of thousands to the cost of building and add months to each project. These need to be trimmed to the least requirements. In addition, we need to get creative about what we use as “laneway houses”. For one example, manufactured houses of all kinds can be bought and erected far less expensively than traditional brick and mortar. Another example, suggested by local engineer Eric Philips, would be to take some of the well-built heritage cottages we have on large lots and physically move them to a laneway site elsewhere; this would provide a far-less-expensive laneway house and provide an empty lot for new construction. Whatever new zoning is approved, the regulations and bureaucracy must allow wide latitude for creative thinking. Last night’s monthly meeting of the Grandview Woodland Area Council (GWAC) was filled by a presentation and QA session with the articulate and interesting Scot Hein. Scot was for ten years the head of City of Vancouver’s Urban Design Studio (UDS) until he resigned about 18 months ago. 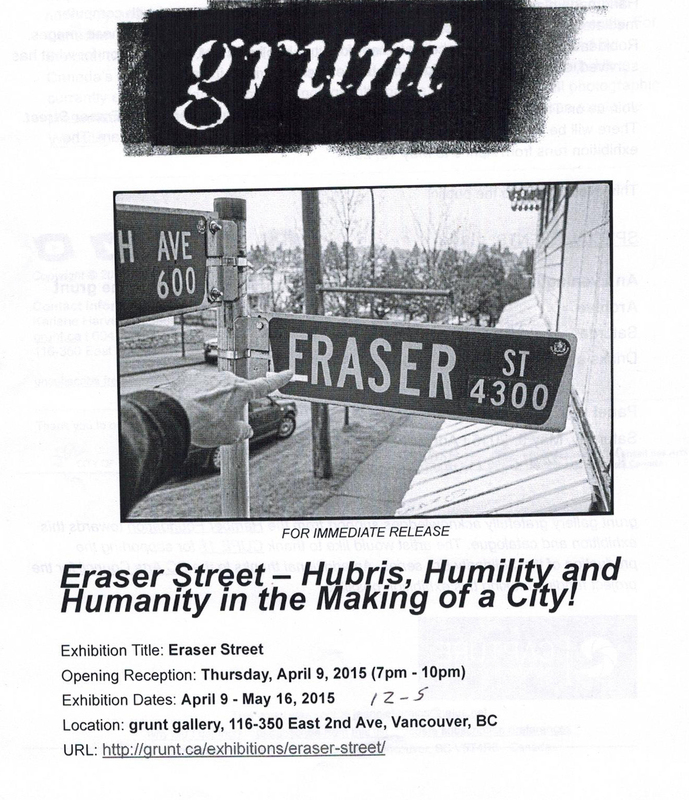 He is now an adjunct professor in urban planning at UBC. Scot gave the thirty or so attendees an excellent run-through of the urban design principles that drove Vancouver planning in the years he was at UDS. He noted that these design principles were the first lens through which development proposals were viewed. Ed: This should still be the case but increasingly developer profit, a sterile technocratic managerialism, and sheer panic seem to have taken over. Scot noted his support for a city-wide plan — it helps “discipline” the planning process, he believes — but was adamant that contextuality is key and that “appropriate discussions” on form and style need to be hyper-local. He then moved on to discuss and illustrate a wide range of case studies from across the city, featuring the Arbutus Walk development that was propelled by local activists and architects. Discussing Grandview Woodland in particular, Scot noted that Grandview is already at or close to the 40 units per acre number that is considered reasonable urban density. He made it clear that he and the UDS were firmly opposed to towers in our neighbourhood and similar inner ring suburbs. In fact, he and his team produced low-rise alternatives that planners in the four Community Plans could use. Scot put forward his theory that if land assembly by developers was prohibited in these kinds of neighbourhoods, then land value would immediately be removed from the pricing equation and lower costs housing could be built. He would prefer Council to loosen the rules on what lot owners could develop on their own land, easing the way to second houses, laneway structures, etc. He also suggested that neighbours should be allowed to pool their lots to develop more imaginative low-impact density and thus make best use of the latent capacity already contained within the zoning guidelines. Discussing the Boffo Tower, Scot said that UDS had seen the original proposal in 2013 (even though other planners have told us that no proposal had been submitted) and which he described as “a pig in space” meaning an inappropriate structure for the local environment and character. In December of that year UDS had presented Boffo with some ideas to reduce the height of the proposed tower from 15 storeys down to about 9. (ed: However, they were working with the total square footage that Boffo said they needed and so their potential alternatives were limited by those requirements.) He said Boffo had agreed to proceed on that basis. However, the latest designs Scot had seen seemed to him to have reverted to the original size and massing. Finally, Scot suggested that we gather architects and designers on our side with an alternative plan and then to request a design mediation. When there is intelligent talk and good questions and responses, two hours seems to fly by. Such was the case last night and I am glad to have been there to take part. Growing up in a slummed out bombed out working class district in West London in the early 1950s, there was little formal intellectual stimulation. I got lucky in two ways. First, my grandfather was an engine driver (a locomotive engineer) and his union, ASLEF, were big supporters of Adult Education. The union arranged for its members and their families to attend lectures and films. Through them I was lucky enough to attend several years of lectures for children at the Royal Society where I learned in a most entertaining way the basic laws of physics and the solar system. Second, there was my Uncle Jack. Uncle Jack was the brother of my mother’s oldest sister’s husband. In the 1930s, Jack was a bum, a hobo traveling the roads of England. At some point he decided that was not the future he wanted and, passing the entrance exam that was available back then, he entered Oxford University where he eventually became a professor of sociological statistics. Jack never married or dated (so far as I know) and never drove a car until much later in life he visited the States and became enamoured of wide-finned machines. Uncle Jack’s niece was my cousin Pauline. She was a little less than a year older than me and we were quite close friends. Whenever he was in town, Jack would take Pauline and me on special outings: we would row on the river, or visit museums. 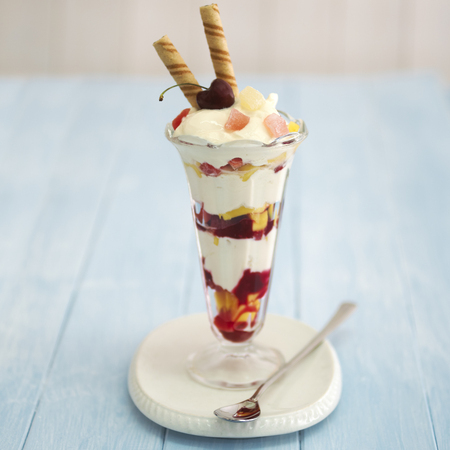 He took us to the very first fast-food burger joint in London, and somewhere else he taught us the joys of Knickerbocker Glory and Banana Split ice cream sundaes, which hadn’t even been dreamt of in my imagination. He treated us with the seriousness that we deserved, and we appreciated that. He liked his beer (it would be his brother who introduced me to the pleasure of bitter ale when I was just twelve) but every year he would bring to our house a fine bottle of wine from the Oxford cellars for my father and he would decant it himself by the fire. It was through my Uncle Jack that I was signed up to attend annual lectures for children at the Royal Institute of British Architects. 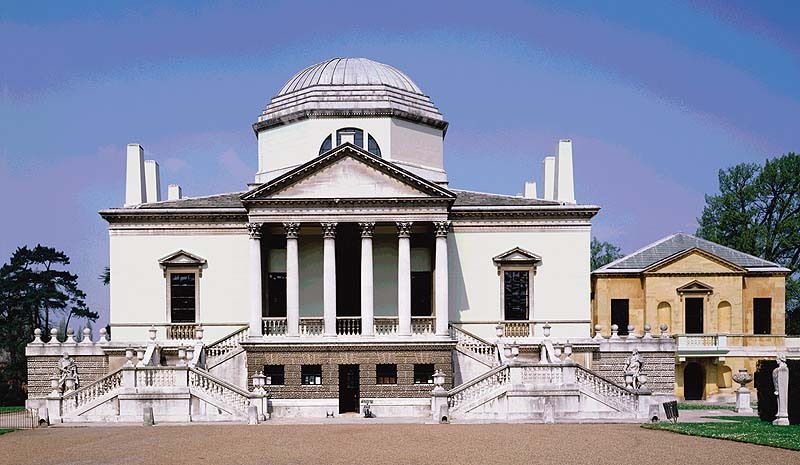 I became acquainted with the Greek orders, the structure of temples, Palladianism (as illustrated by Chiswick House, where my mother used to take me to play in the park), and Sir Christopher Wren. As I got older, I continued to attend lectures at RIBA and elsewhere. It was through these that I learned about Le Corbusier (generally a god to the lecturers), Robert Moses, and had my first taste of approved brutalism (oops, I meant modernism). Luckily I had been brought up in a neighbourhood which, having had large portions bombed flat during the war, had undergone an earlier version of “urban renewal” and so I was already familiar with the failures of central planning. I didn’t become an architect or anything like that, but my interest in urban design remained. I attended further lectures in London and Manchester before I left England, and I read Geddes and Mumford and Jacobs. It was Robert Caro’s majestic multi-volume biography of Robert Moses that enlightened me the most, though, about central planning and the social disasters that nearly always befall that sorry exercise. When I came to Vancouver in the late 1970s, activists had already scared off most urban renewal projects, including the freeway that would have devastated Grandview, Strathcona, and Chinatown, although we did have numerous housing projects in place, such as Stamps Place, Little Mountain, and Nicholson Place. I came here pre-Expo and watched in awe as the city planners grew our city to met the event. 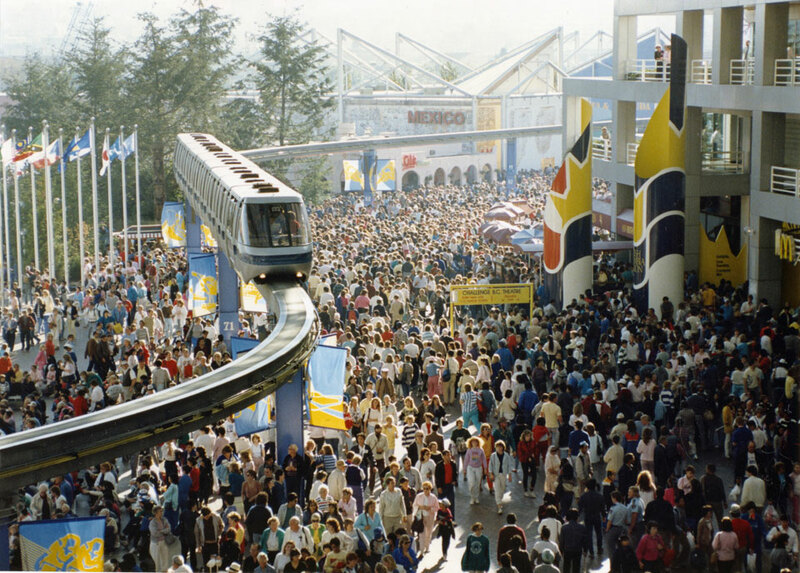 For twenty years or more, as Vancouver City Planning worked its way through the original Local Area Plan or LAP (which gave us the Grandview we love today), City Plan, and Community Visions systems, I was proud to tell the world about how well our planners had done. I watched as they built a world-class city based in large part on retaining the diversity of our neighbourhoods. That all changed in 2005, of course, and city planning here has gone downhill ever since, as you can read about relentlessly elsewhere on this blog. What triggered this rememberance was a snippet of an article I read (and which I have subsequently lost) which argued forcefully in favour of a renewed need for good old-fashioned urban renewal. Almost immediately after, I read a Washington Post book review of a new biography of Le Corbusier. “In ‘Modern Man,‘ Anthony Flint attempts to liberate Le Corbusier from the indictments that have plagued his legacy. Too late, I say, and thank goodness: Le Corbusier and his fascistic technocracy is dead (although there are some might say that Vision Vancouver’s social engineering-via-development agenda comes close). We learned that lesson at least once. We can only hope that the Chinese with their numerous and entirely vacant centrally-planned mega-cities will catch on soon, and that Vancouver activists can at least blunt the edges of Vision’s cruel vision for our beautiful city. For those who might be interested, Uncle Jack, after many years in the quiet of English academia, gained a posting to Stanford, discovered America, women, and fast cars with more chrome than style. After two years of that, exhausted, he returned to a tenured professorship at Sheffield University in England. One summer in the 1970s he travelled to the south island of New Zealand for an adventure holiday in the wilderness. He never came back; just decided he liked it well enough and would stay. If he is still alive he will be in the his mid-90s. A grand man from whom I learned much. You are currently browsing the archives for the Architecture & Urbanism category.